AFDJ eNews provides a snapshot of national and international industry news delivered direct to your email inbox. Published every second Wednesday. Subscription is free. Distributed to over 2,000 farm industry decision making subscribers. 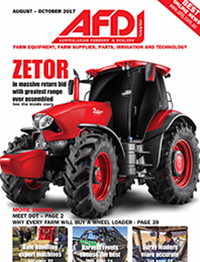 Subscribing means receiving farming and agriculture industry news via email every two weeks. 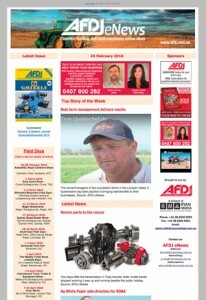 If you want to subscribe to AFDJ eNews fill out the form in the left hand column on this web page.